Do you like our latest ePoster System? 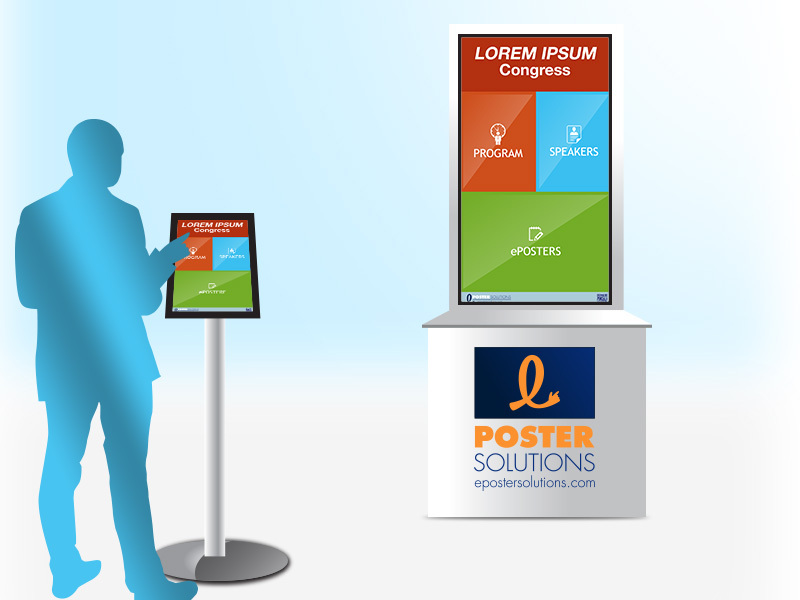 ePosterSolutions implements detail-customised ePosters solutions by providing both the physical means and the software logistics that will allow your conference participants to browse, search and read the electronic posters. With more than 10 years of technical and creative/UI experience, we designed a very user-friendly application. Moreover, our software is multifunctional: besides the ePosters section, it also provides a friendly interface for the program of congress and an easily searchable list of speakers. We know how difficult organizing a big event can be so we strive to deliver the most efficient, hassle free-services. We offer the best support in order to make sure that the ePosters are exactly as you need them. More so, someone will be at the event to provide hands-on support if needed. We have the best ePoster solutions for you. You can browse the program with ease: it is organized by days, sessions, hours and locations. We have rich experience in congresses. Read more about our clients here. We have both creative and technical expertise. Check us up!